Sandra “Sandy” (Uithof) Wells (1946-2018), recently retired Clinical Assistant Professor at the College of Nursing and Professional Disciplines, passed away at home in Grand Forks on March 29, 2018, from pancreatic cancer. 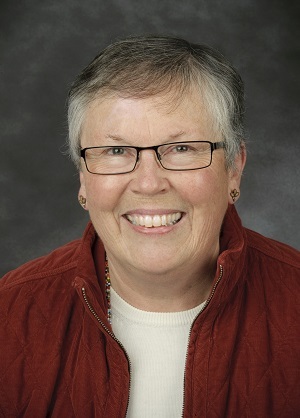 During her eight-year tenure at UND, Sandy taught several nursing courses and served as practicum coordinator, matching students with clinical sites for on-the-job learning. Her dedication to students was evident in every conversation and she was well-respected by students, staff and faculty. In 1985, Sandy received her MSN in Adult Health with oncology emphasis and management secondary at University of Texas, Arlington. In 1968, she received her BSN in Nursing with ethics minor at the University of Portland, Portland, Oregon. Sandy had a passion for oncology and held certifications as an Oncology Nursing Society Oncology Certified Nurse, Oncology Genetic Educator, Chemotherapy and Biotherapy Educator, End of Life Educator, and Pain Management Educator. Sandy loved the outdoors, spending time with her family, four wheeling, and gardening. She spent her final months doing as much as she could at home with her family. Memorial Service and Celebration of Life: 2 p.m. Saturday, April 7, 2018 at Christus Rex Lutheran Center, 3012 University Avenue, Grand Forks, ND 58203. Her obituary is available at http://www.grandforksherald.com/obituaries/4426940-sandra-sandy-wells.